Incredible west facing end unit is ADA accessible, in highly desirable community of Dancing Willows. This beautiful 2 bedroom condo features an open floor concept, kitchen with upgraded stainless steel appliances, prep island, breakfast bar & granite counters; large master suite with a private 5 pc. en-suite & walk-in closet; home has high ceilings and windows in almost every space providing ample natural light and Mountain views! Bonus features are no stairs inside or out, an ATTACHED garage, an outdoor storage closet as well as an over-sized crawlspace that provides owners with a ton of secondary storage space! 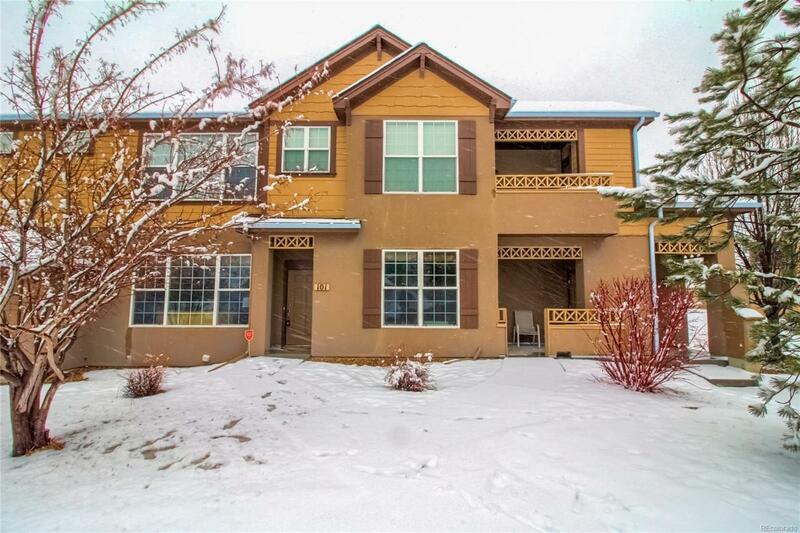 Easy access to C-470, public transportation, shopping & trails. Community HOA amenities include water/trash, lawn, community pool, and park/playground. This property won't be on the market long!